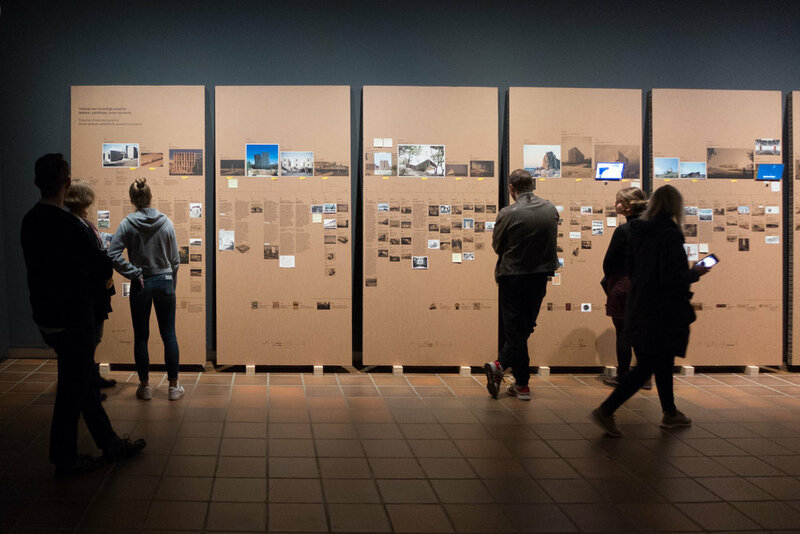 A dramatic exhibition and one of a series at Louisiana under an overall title Arkitekturens Værksteder / Architecture Workshops - ELEMENTAL profiles the work and the approach to architecture of the office in Santiago of Alejandro Aravena. 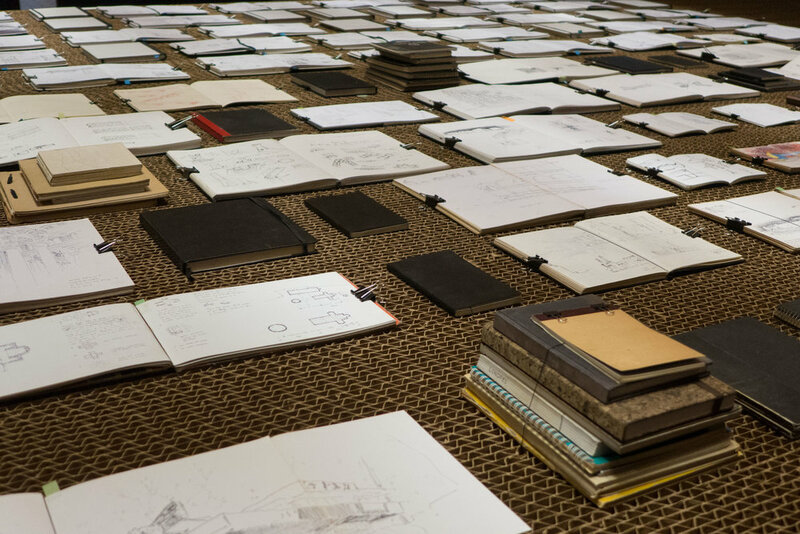 The process of design is here a main focus of the exhibition that begins with a display of sketch books - a primary stage in their design process. With excellent visuals, on small screens around the edge of the display, you can select a sketch book and explore the contents by swiping through the pages that include both notes and detailed drawings. In conjunction with this are films running across three large images on a nearby wall that turn through sketchbooks page by page. The design process for this exhibition space - from initial ideas through to the construction of the final display - was treated like a specific design project by ELEMENTAL to explain their work process and philosophy. A series of large panels on a lower level of the galleries trace through the whole development of the exhibition from the first letter from Louisiana proposing the exhibition through to the construction in the space. It is rare, as a visitor to an exhibition, to be able to track in such detail the work involved in producing an exhibition on this scale and of this complexity. There are separate areas with photographs forming a time line for projects and models showing the primary volumes and forms of major buildings. 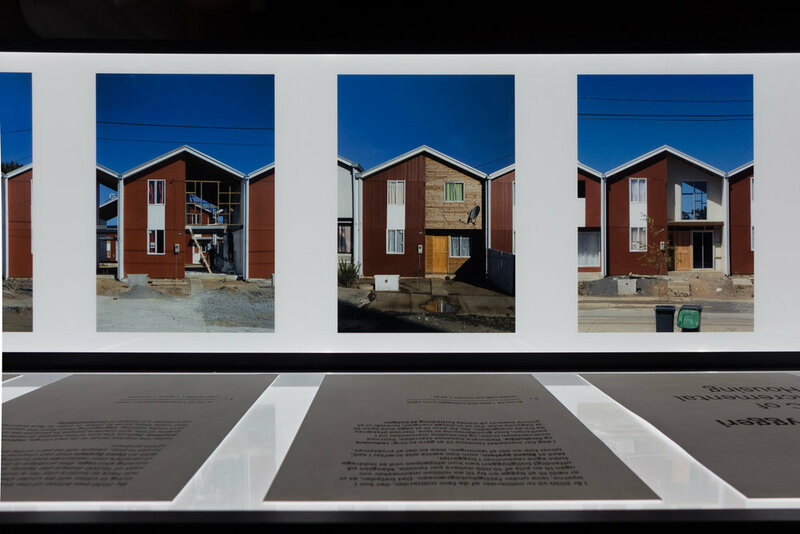 There is a sequence of photographs and drawings of the now famous social housing - half fitted out in the initial construction and half to be completed by the families at a later stage and a sequence of prototypes showing the development of the design of Silla Chair - an open source design. Under a huge suspended box, there is a film of the projects from a drone.